While it is no secret that The Maltese Islands boast many a stunning seascape view, it is also true that many of these areas are renowned for their waterfronts. Whether you find yourself up for an early lunch, afternoon stroll or drinks by the sea for the evening, this week we bring you six waterfront regions to head to and make the most of this Spring. 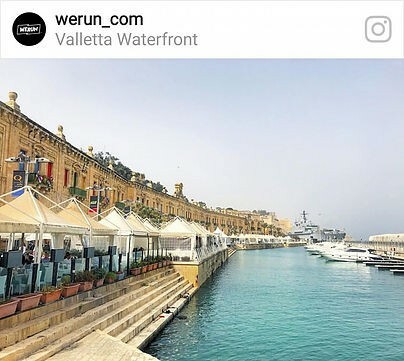 The Valletta waterfront is perhaps one of the busiest we’ll get to mention in this list and with good reason. 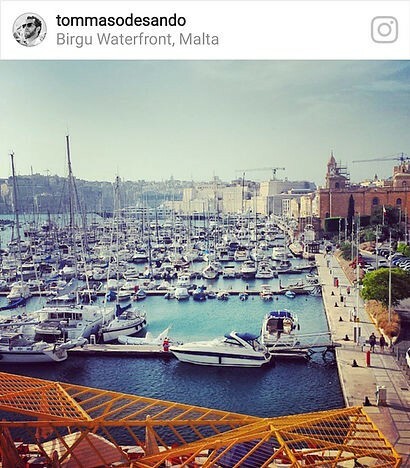 With the now iconic historical warehouses that serve as a colourful backdrop to the area, this waterfront serves as a gateway for seafaring passengers travelling to and from Malta’s capital. A number of eateries and shops dot the promenade and with its laid-back ambience – this waterfront makes a good detour from the busier streets in Valletta. The Birgu waterfront is particularly iconic due to the dockyard area that houses many an impressive super-yacht. For those interested in naval history and vessels, Malta’s Maritime Museum is located on the right-hand side upon entering the promenade area. The area is a testament to the rich and historical significance of the port that nowadays makes for a wonderful stroll and evening dinner. Buġibba takes the prize for one of the most bustling areas in the Maltese summer with many families heading to this northern town to their summer residences and late evenings out. Visitors will find plenty of stops to make along the way with restaurants, cafes, swimming areas and even Malta’s National Aquarium all located on or near and easily accessible from the promenade itself. 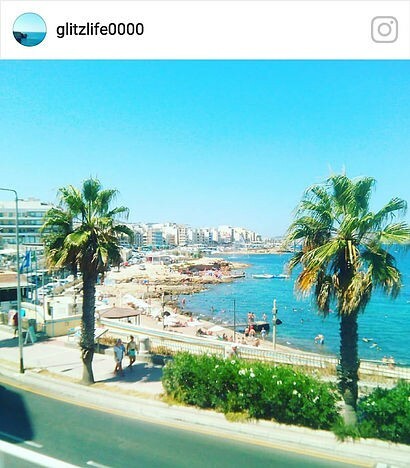 The Sliema – St. Julians coastline is probably one of Malta’s longest stretches of continuous promenade that takes pedestrians all the way from the Manoel Island region to the heart of Paceville. The area is renowned for its shopping and dining stops as well as pubs and nearby clubs for the evening hours. Spinola and Balluta Bay are a wonderful opportunity for visitors to take in the aquamarine hues of the Mediterranean sea dotted with the traditional locals’ boats. 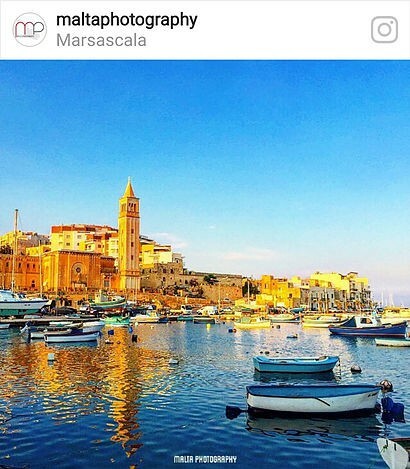 The quaint and charming town of Marsascala exudes a charm that provides visitors with a unique insight into one of the more traditional towns mentioned in our list so far. Fishing is historically and culturally an important activity that is evident in the fishing boats and occasional fishermen along the seafront. Head over to the Marsascala promenade (arguably one of the widest in Malta) for a leisurely stroll. Various eateries are available for lunch or dinner although booking in advance for this popular area is recommended! 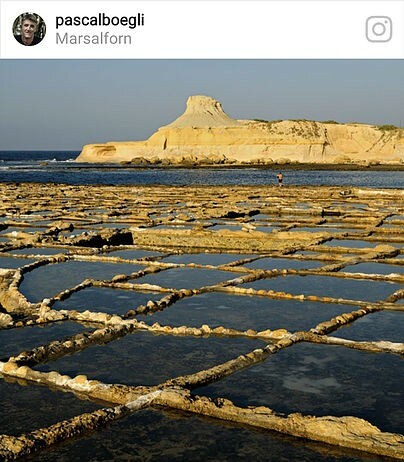 While there is a multitude of notable waterfront areas in Malta’s sister island of Gozo, Marsalforn is perhaps one of the more iconic due to the traditional salt-pan industry in the area. Head over for lunch at one of Marsalforn’s more rustic restaurants and proceed to spend the afternoon walking by the sea. There may not be a promenade, but the eroded limestone in the area makes from a smooth walking surface that gives the perfect vantage viewing point of the surrounding area and rock formations on the opposite side of the bay. Did we miss any areas that you feel are worthy of mention? Or have you been to one of our mentioned waterfronts? Let us know in the comments below!